Cloud computing is changing many industries, but its impact in the business world is particularly promising. It has the potential to boost competition thanks to lower operating costs while providing an incredibly flexible and scalable system. More importantly, the support for said platforms can be outsourced. 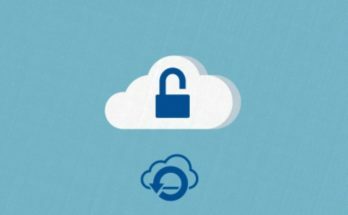 Subscribing to a cloud provider for software-as-a-service support, for example, puts the bulk of the responsibility on your provider to maintain, update and secure the platform. That explains why it is so popular in the enterprise and business communities. 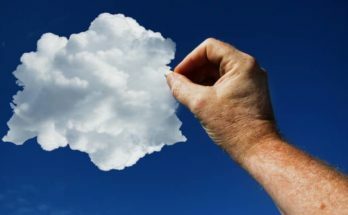 A whopping 74 percent of chief financial officers (CFOs) believe cloud computing will have the largest and most measurable impact on their business throughout 2017. Demand for cloud support will grow by 18 percent this year, to a total of $246.8 billion in worldwide revenue, up from 209.2 billion. In the words of Ron Burgundy, cloud computing is “kind of a big deal,” at least for enterprise. 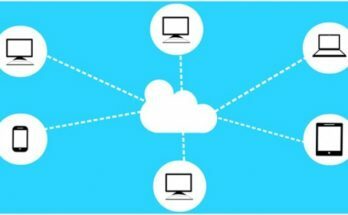 In light of that, here are some innovative ways in which the cloud can be used outside of conventional storage and computing scenarios. You could technically argue this has to do with cloud storage, and it does, but it’s a benefit that is just too good to pass up here. Cybersecurity, wide-scale hacks and data breaches are, unfortunately, the norm for many industries. However, they’re not the only things that can cripple a network or system, as there are natural disasters, power outages, hardware failures and much more. Being able to get back online as fast as possible—with all your accumulative data and assets —is important, especially for an enterprise serving customers or clients. Cloud computing and remote technologies allow this to be done in a prompt, reliable manner. That certainly counts for something in today’s world. We can’t think of a single business that wouldn’t benefit from having a cloud or remote disaster recovery plan in place. This, of course, is another element related to cloud storage. Software-as-a-service and cloud platforms such as Dropbox, Google Drive and many others allow full collaboration between various parties. More importantly, they allow teams to share documents and files, which may also be edited in real-time by fellow team members. This puts an emphasis on modern collaboration and teamwork, as you no longer have to wait to process the transfer of files or documents before diving in. You could, for instance, host a single document in the cloud that can be accessed by all related parties, from any device, including desktop and mobile. This is separate from file sharing, because it’s more of an intrinsic business or official process. With conventional faxing, you must scan a document and then wait for it to be sent over the airwaves to a remote location. The receiver then waits for the document to be collected and printed by their fax machine. They then make the necessary revisions, or read it and come up with a proper response. They then have to rescan the document —or scan a new one —and wait for it to send. The entire process has a rinse-and-repeat cycle, sometimes multiple, for documents that require additional edits or responses. Overall, it’s a tedious, unproductive process —and that’s when the hardware in question works as intended. It’s no secret that fax machines aren’t the most accurate or reliable devices in history. Cloud platforms are the sole reason big data and modern analytics tools are possible. Data is first collected, measured and stored in the cloud. The insights and patterns extracted are then shared with various parties, discovered thanks to analysts and machine learning tools. This tapping into of vast data quantities can improve and greatly benefit a business’s value. Furthermore, it’s a completely fresh and separate source of revenue for new brands, which share data on an open marketplace with other organizations. What do social networks like Facebook, Twitter, Google+ and Instagram have in common? They’re all propped up thanks to cloud storage and computing technologies. The social aspect of these portals would not exist without the cloud. To compound that even more, many social networks —like Facebook —are being leveraged to further data analytics and collect a great deal of insights about the average consumer or internet user. It’s a connected ecosystem, if you will, that would never thrive without the kind of cloud technologies that make it all possible. There’s a lot more than storage when it comes to the cloud. Make sure you use it to its full potential and help your business soar. Byline: Nathan Sykes is techie and IT enthusiast from Pittsburgh, PA. To read more posts by him go to his blog, Finding an Outlet.